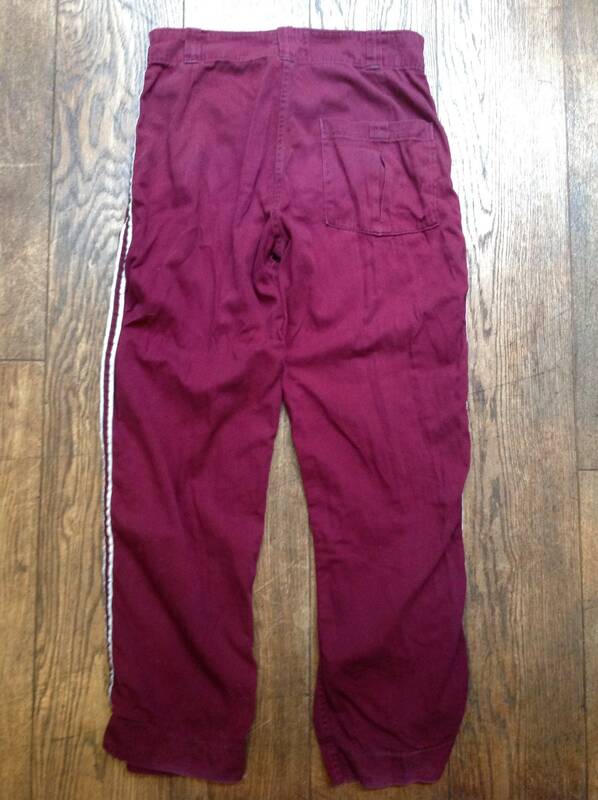 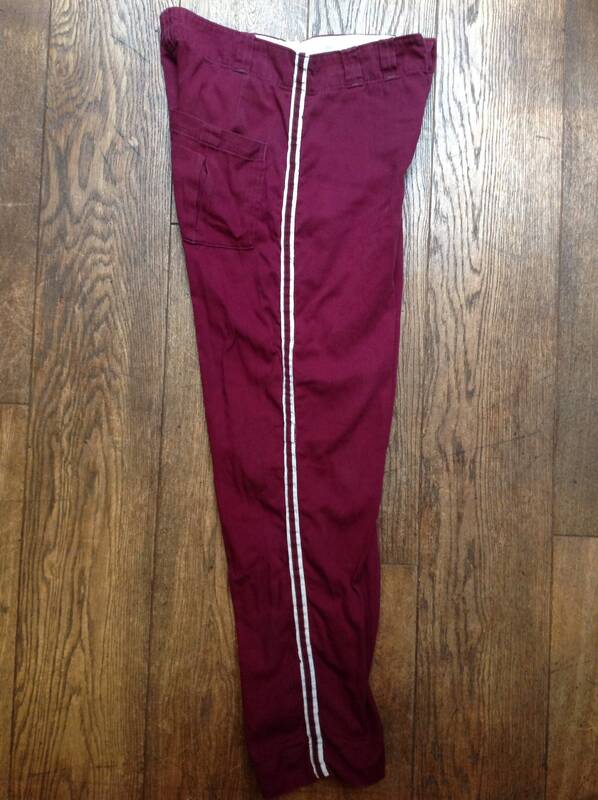 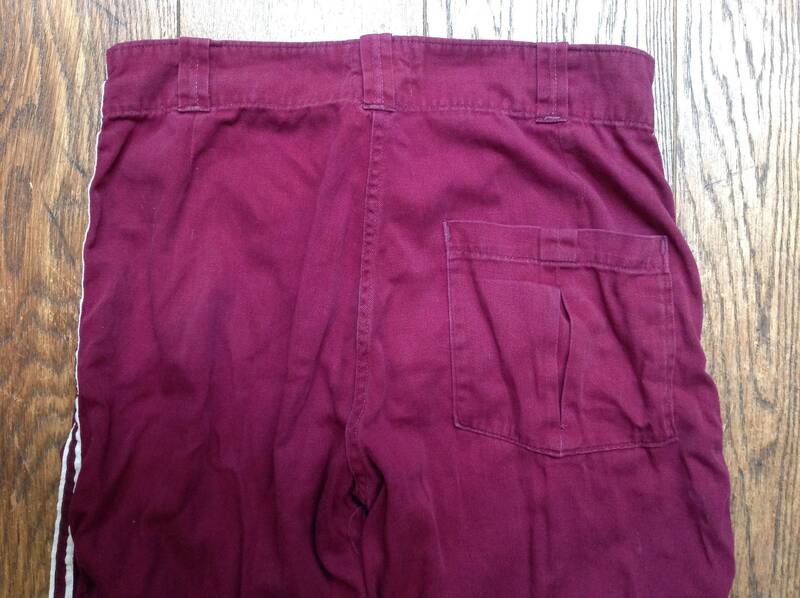 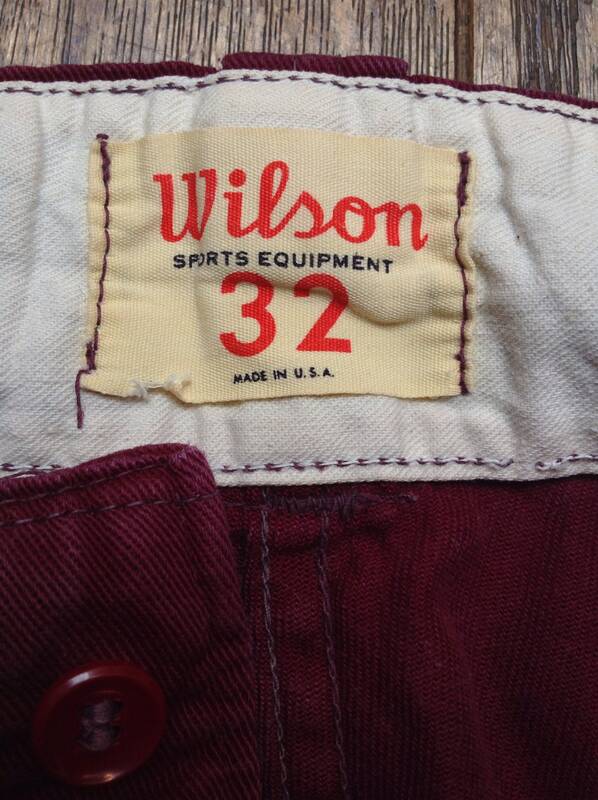 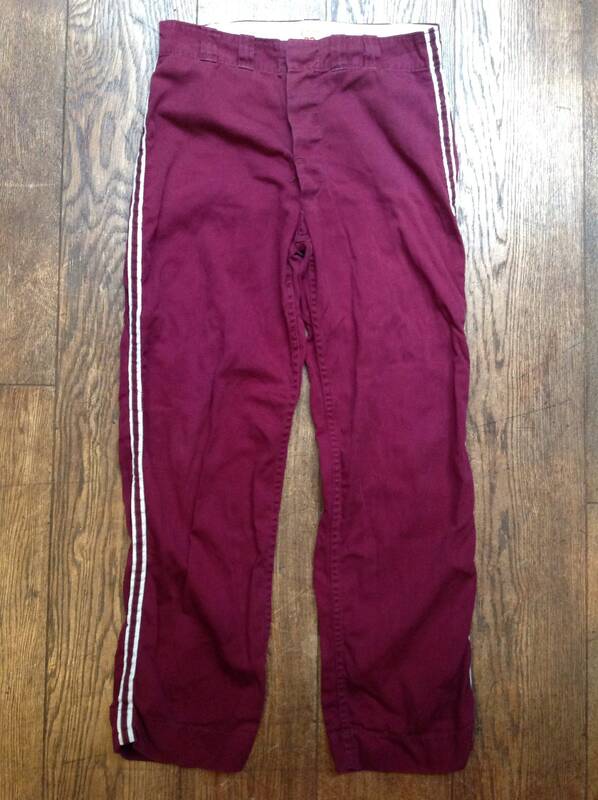 Vintage 1960s 60s burgundy red purple cotton Wilson striped baseball pants trousers button fly sportswear 33" x 32"
A pair of burgundy cotton baseball trousers by classic US sports brand Wilson. 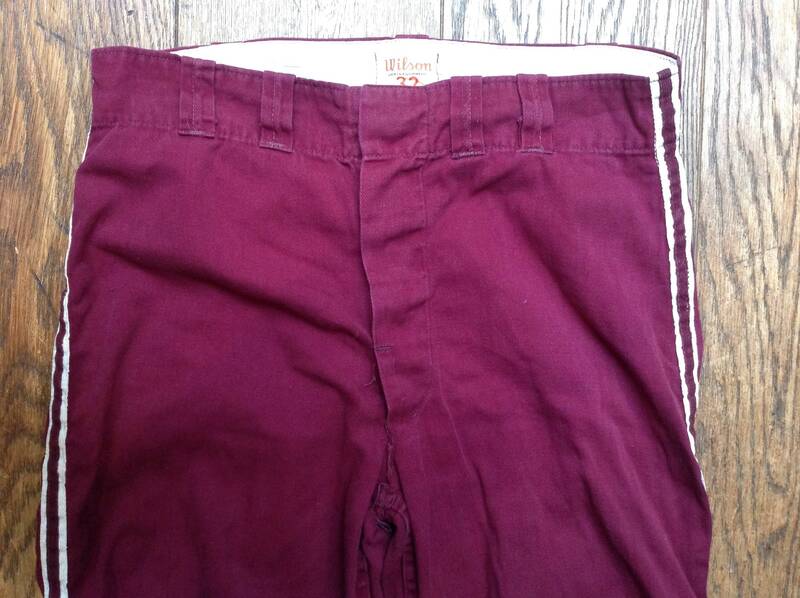 Noted flaws - some minor colour fading at the back of the hems, some loose threads and a small repair at the crotch seam - please see photos. 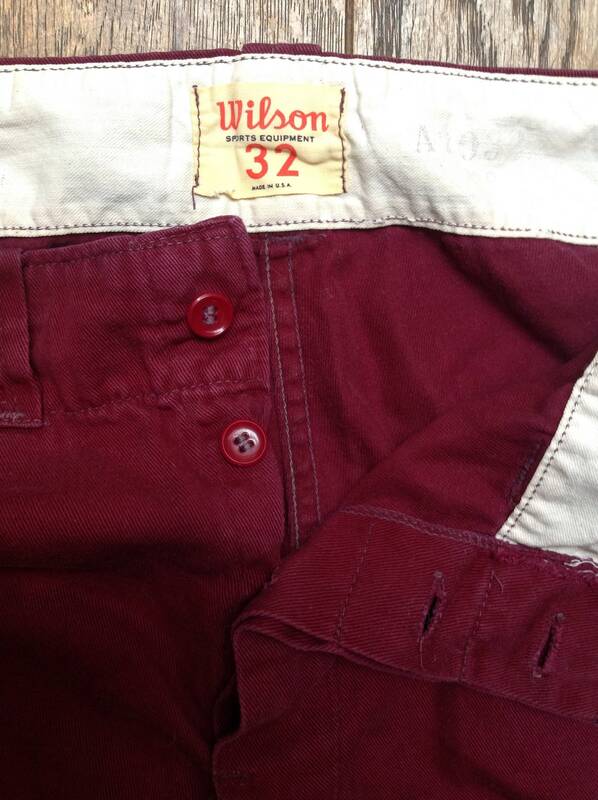 Great condition otherwise, double white stripe down the outside of each leg, pleated back pocket, button fly, suitable for men or women. 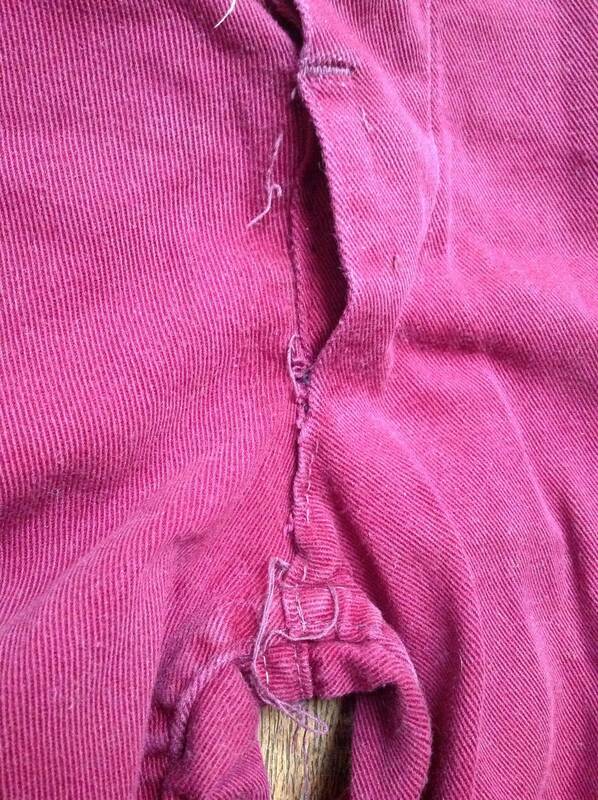 Leg opening at hem - 9"